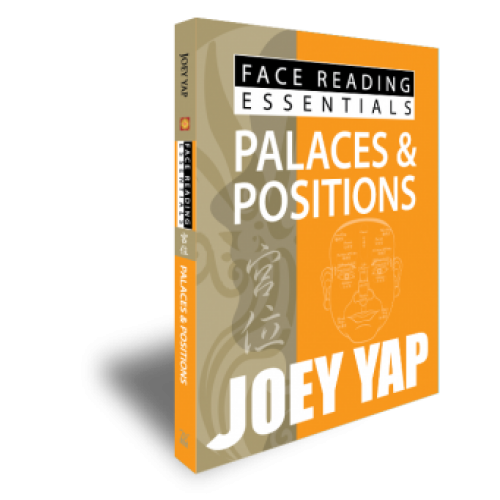 Palaces and Positions are considered the core technique in the Art of Face Reading. The Palaces reveals how you approach life, your past, your potential for the future and your traits in relation to the twelve pertinent aspects of your life. The locations and their meanings, explained. Go deeper into the Three Regions - Upper, Middle and Lower portion. What are the Five Officers, and why is it crucial for you to know. Learn how to decipher the Six Brightness to facilitate your Face Reading knowledge. There are eyes, forehead, teeth and ears. Discover the story behind these features.